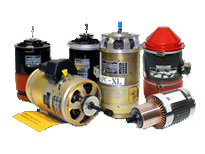 We are actively buying qualified excess starter generator related inventory and cores from all manufacturers and in all conditions, including BER. You can email, fax, or complete our convenient online form with your list of available units and convert your slow-moving inventory into usable cash or trade-in value today. Please include traceability, condition, reason for removal and tag information where applicable. Trying to hit your sales goal? OEM pushouts, excess, inactive or cancellations? Need to reduce inventory value before years end? Fleet reduction - Downsizing flight department? Looking to trade / swap?